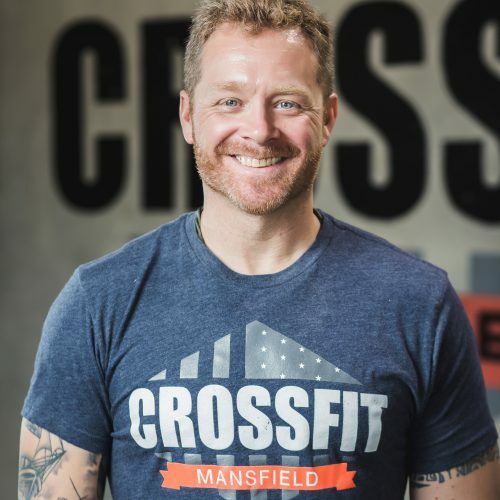 CrossFit Mansfield members take their training beyond the gym by participating in Mud Runs, Urban Challenges, Triathlons, Mountain Biking and other activities. Remember, this is a commitment not a quick fix. Come see what it’s all about with a free introductory class! Work out and train with coaches that all come from a variety of backgrounds and experiences. They all have one thing in common: they care. The passion and commitment our coaches have to helping you achieve your personal fitness goals is what separates CrossFit Mansfield from other gyms. We know every member and their fitness goals, and strive to provide the training, education, support and motivation to meet these goals. As a coaching staff, we are committed to pursuing excellence and pushing you to thrive, not just survive. We are invested in taking care of you and take pride in helping you enjoy life. We are in the business of getting you prepared for any obstacle or task life may throw at you. I opened CrossFit Mansfield in April of 2008, the original CrossFit gym in Mansfield, TX. My goal then was the same as it is now: to provide safe, efficient, quality training to my members. I believe in training hard but smart. Safely and effectively getting out of that comfort zone is where you will find your results! I believe in moving your body properly, in ways that it is naturally designed to move. Couple this with strength and conditioning and you will see positive changes, both physically and mentally. Before founding CrossFit Mansfield, I served in the United States Marine Corps for 4 years active and 3 in the reserve. I also served as a Firefighter/Paramedic at Mansfield Fire Rescue for 7 years before running CrossFit Mansfield full time. WE ALL START SOMEWHERE… For me, my commitment to a healthier lifestyle began after I started a family. By the time my twins were 2 years old, I realized years had gone by and I had little to no fitness routine. I was out of shape, sleep deprived, and my body ached all of the time. Going to the gym felt monotonous, and left me feeling unmotivated and uninspired. I was also battling a blood sugar disorder and knew something had to change for my long term health. Soon after starting CrossFit, I noticed I was more mentally alert, less stressed at work, and experienced rapid strength-gains, along with noticeable body composition changes. 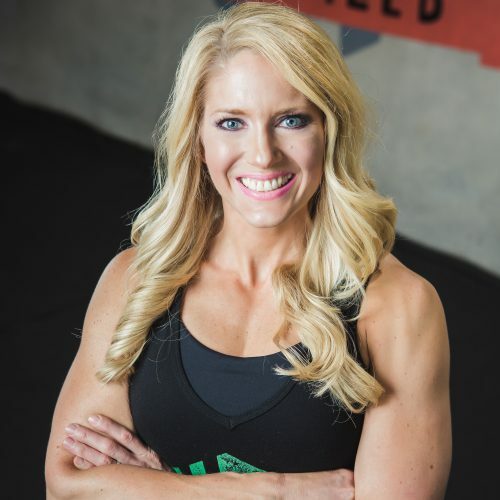 CrossFit not only improved the way I viewed my body, but ignited a personal desire to push myself harder, and empowered me to do things I never considered a possibility. Growing up in small towns across Missouri, Arkansas, and Texas, I had opportunities to be involved in a wide variety of sports and activities including gymnastics, track and field, volleyball, basketball, and cheerleading. In high school I made the NCA All-American Cheerleading team and went on to cheer for the Arkansas State University co-ed partner squad in college. Although I come from an athletic background, I do not believe you have to be an athlete to be a CrossFitter. All of the workouts are scaled and modified to adjust to whichever point you are at, in your lifespan and fitness journey. 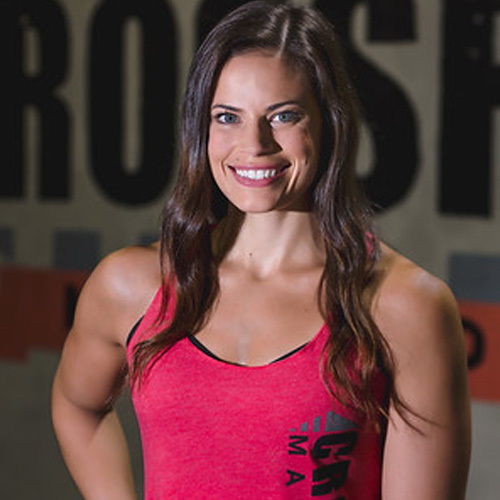 As a CrossFit trainer, I aspire to push and encourage others to be the best they can be. It’s about your journey, your needs, and your goals. I am passionate about CrossFit and enthusiastic; I believe my instruction will help you learn and grow. I strive to meet you at your level and push you towards your goals. I grew up and worked on the family farm in North-Central Iowa and have taken the work ethic instilled in….I’m kidding, that’s someone else. I grew up in Mansfield, K-12. I played football and ran track for Mansfield High. I was raised in a very competitive house hold and learned at an early age, quitting was not an option. I attended UTA and was trained as a decathlete, until receiving a scholarship for the javelin and pole vault. At UTA I was blessed enough to be a part of two conference championships. I started my career coaching in 1999 for MISD and continued competing in the javelin. In 2002 qualified provisionally for the UTA championships. I have always loved competing, and that’s what drew me to CrossFit. As a vaulter, I always enjoyed and respected the gymnastics aspect of CrossFit’s exercise programming. My favorite thing about it is the Olympic lifts, and the sense of accomplishment after completing a demanding workout. 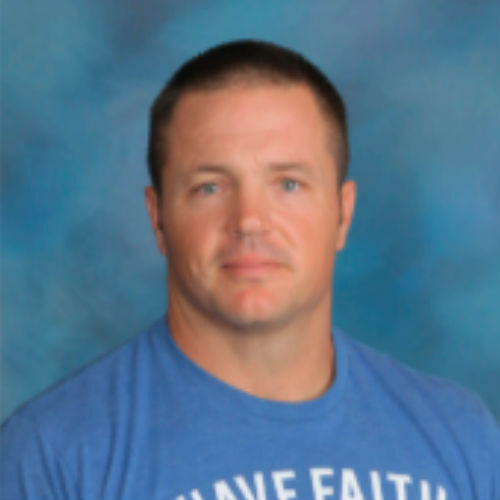 I am currently the Defensive Coordinator at MHS and was also head track coach for Mansfield for the past 12 years. I am in my 18th year of coaching and love helping people achieve greatness.